Held at the NY Hilton, this event provided a chance to meet with many friends and musicians. 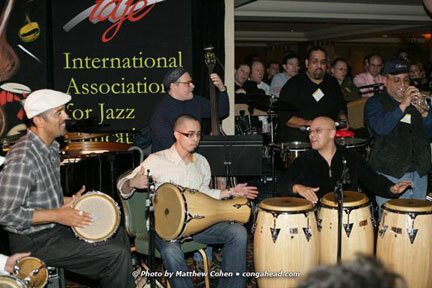 John Santos hosted a jam in the lobby that featured Little Johnny Rivero, Dafnis Prieto, Chembo Corniel, Bobby Sanabria, David Gomez, Ralphie Irizarry, Ray Vega, Chris Washburn, John Calloway, and Andy Gonzalez. To see exclusive photos from this event, please click here.